Lincoln Recent News: Shashwat Finishes 2nd at RNGC 100th Anniversary Golf Tournament! Shashwat Finishes 2nd at RNGC 100th Anniversary Golf Tournament! 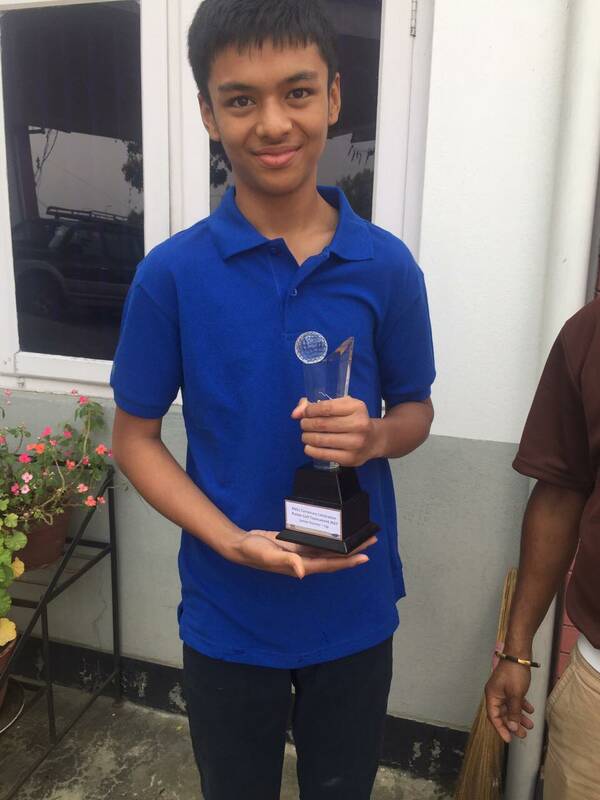 Lincoln's Shashwat Pradhan (Grade 7) came second in the junior section of the Royal Nepal Golf Club 100th Anniversary Tournament on April 14th, 2017. The Royal Nepal Golf Club is the oldest club in the country and most of the nation's top junior golfers participated in this tournament. 13-year-old Shashwat has been playing golf since the age of seven and is considered as a formidable player in the junior golf circuit in Nepal. Some of the other major tournaments he has taken part in in were the Nick Faldo Nepal Championships and the qualifier for the 2016 National Games after getting selected through the pre-qualifiers in both of these tournaments. We do expect to hear more about this young golfer in the future!